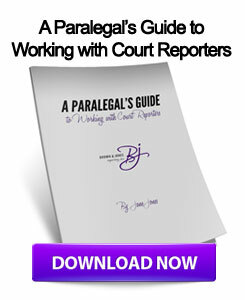 Ask any lawyer or court reporter – missing a deposition is taken very seriously in courts of law. 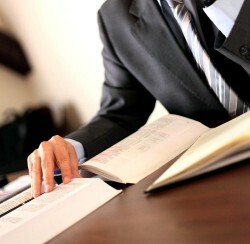 While some scenarios may prevent individuals from being able to attend a deposition, these events should still maintain precedence above any other. The consequences of this are exemplified through a few very public figures. Professional boxer Floyd Mayweather is being sued by competitor Manny Pacquiao for skipping a deposition last year, which was part of a much larger lawsuit for defamation against Mayweather who, allegedly, accused Pacquiao of using performance enhancing drugs. Mayweather was seen at a nightclub in Atlanta when he was supposed to in a deposition in Las Vegas. According to Yahoo!, Judge Larry Hicks has ordered Mayweather to pay Pacquiao's attorney fees and court costs, which amount to roughly $190,000. Another example comes from Oakland, California where Mayor Jean Quan canceled an all-day deposition hearing on August 30 for September 25. Her reasoning was that she had to appear before a last-minute City Council meeting. When asked by the San Francisco Gate whether Quan plans on attending the next deposition date she said, "I absolutely plan to. I didn't plan to have a closed session. I had to do it." Quan is currently tangled in litigations alleging that the Oakland Police Department have failed to implement a litany of reforms that were required after a 2003 court order. Those reforms include the improvement of monitoring officers who aggregate "use-of-force complaints," to tighten internal affairs investigations procedures and to filter out racial profiling. If litigators in the Midwest area expect that someone they must depose will not be able to make the meeting, they may want to partner with Wisconsin court reporters that offer videoconferencing services or videography deposition services to create a more flexible arrangement. This entry was posted on Thursday, September 20th, 2012 at 10:38 am	and is filed under All Posts, Videography Deposition. You can follow any responses to this entry through the RSS 2.0 feed. You can skip to the end and leave a response. Pinging is currently not allowed.